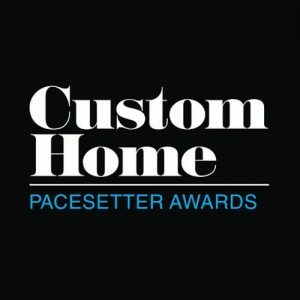 In our 20 years of Business, we’ve received over 20 Custom Home Builder Awards. As the only custom home contractor recognized by the Greater Houston Builders Association as both Custom Builder of the Year and Remodeler of the Year, Hann Builders has been building beautiful, energy efficient custom homes in the Greater Houston area for over 20 years—and has been equally awarded and recognized for these. At Hann Builders, we are committed to the passionate pursuit of excellence at every stage and consistently deliver uniquely beautiful, energy efficient, and completely custom homes that are very competitively priced in the Houston market. Our design/build team works with you on budget and design specifications to ensure that every part of your home is how you desire. We know personal attention matters. Owner Stephen Hann and our entire team are available to support you and your new home from start to finish. Distinguishing each of our projects with unsurpassed craftsmanship and subtle sophistication while integrating durable and energy efficient materials, our team shares the common goal of not only building homes for generations, but relationships for a lifetime. We look forward to earning your business and becoming your Houston custom home builder. When you reach out to our design/build team, we will schedule a no-obligation initial meeting. Our homeowners receive the highest level of personal attention, and we walk you through every step of the process after you acquire your plot of land to the first time you walk through your completely custom finished home. Before you begin the process of building your new home, talk to our team at Hann Builders. We provide award-winning design and construction—on top of our personal, high-touch service. Make your dreams a reality, and let Hann Builders welcome you home.